Are you STRETCHED or STRESSED in your job? In October of last year, I received my DISC certification. 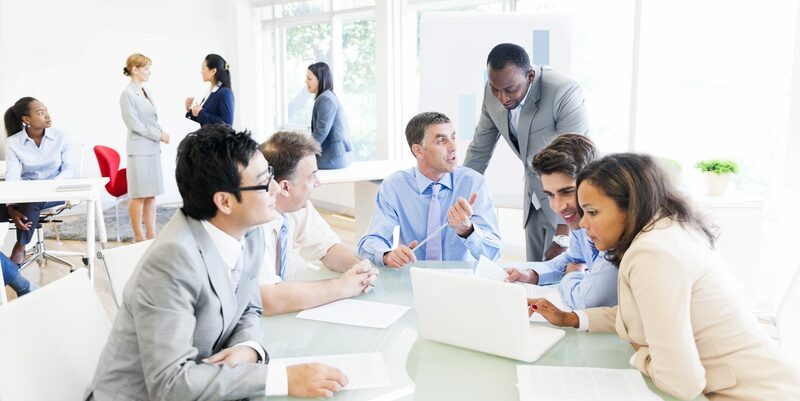 DISC is an older personality assessment that has been used in the workplace for many years. Developed by William Marston in the early 1940s, the DISC assessment defines four distinct behavioral styles and provides a framework to better understand yourself and others. Marston was specifically interested in the physiology of emotions and what particular emotions are evoked as people interact with their environment. He was also the same man who invented the Polygraph and the super hero, Wonder Woman. I am a personality junky and have 7 different certifications so DISC was a great edition to my assessment ‘toolbox’. However, something about the DISC assessment really stood out to me. 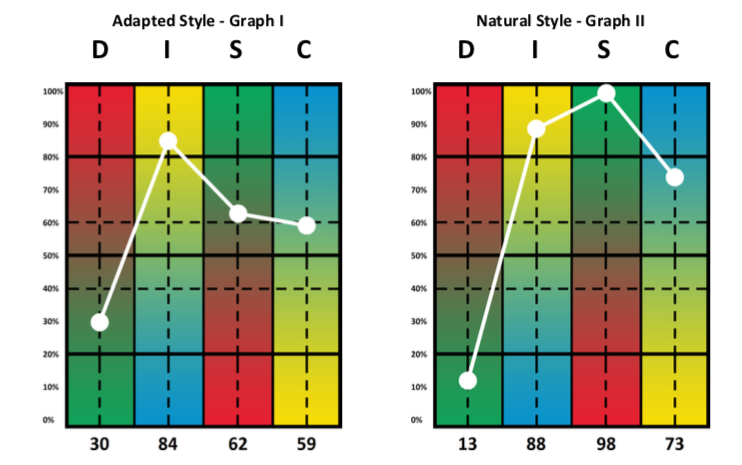 Whenever you complete the DISC assessment, your results include two graphs that represent your Adapted Style vs. your Natural Style. The graphs of a recent client of mine are shown below. The Natural Style graph (right) represents how the client is naturally wired. This is their default pattern of behavior. The Adapted Style graph (left) represents how the client sees herself needing to behave in order to do her job more effectively. When a shift is only a 20% change (percentages shown on far left side) between the two graphs, an employee is being STRETCHED. The difference in their behavior is noticeable, but usually manageable. But, when the shift is 30% or greater, the employee may be misaligned or unsatisfied in their role and could be STRESSED. The graphs above show a 40% shift in the Steadiness ‘S’ style from the Natural Style to the Adapted Style. When in her Natural Style, the client is patient, loyal, steady, a team player, indifferent, and remains still. In her Adapted Style, however, the client is non-emotional, deliberate, amiable, and dependable. She is able to take the emotion out of her work and focus on deliberately completing tasks. This could potentially cause stress, because the feelings/actions in her Adapted Style do not all come naturally for her. What about your environment is causing the shift between your Natural and Adapted Styles? Is this shift really necessary/required in your adapted environment? Would you be more successful and/or productive behaving more naturally? What demands/conditions of the environment are causing this shift? How is the shift affecting you? What is the risk both short and long term of the shift? Your problem-solving abilities may suffer. Your relationships and interactions with others could worsen. Your pace of work could be less productive. Your level of happiness in your job could be jeopardized. If you feel that you are stressed in your job, please reach out to me at traci@icapsolutions.net to schedule a coaching session on how to work around your shifts! Guard yourself against these negative impacts by gaining self-awareness and addressing the shift issue head on. Next Next post: Do you know the 5 fundamental laws of valuing others?